The iPhone Wallet App is useful for holding onto tickets, your Apple Pay cards, and boarding passes. Now, in the United Kingdom, the Driver and Vehicle Licensing Agency (DVLA) is working on allowing this app to hold on to your driver’s license, too. 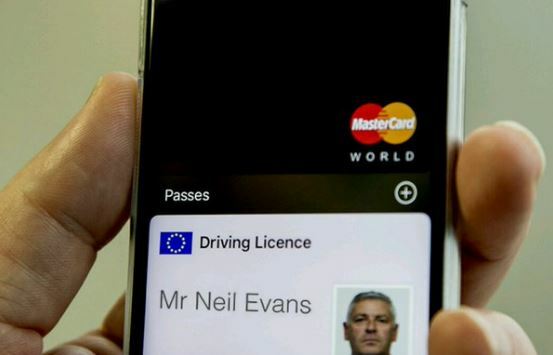 The DVLA recently tweeted a photo of how the license will appear if it was included in the iPhone Wallet. Oliver Morley, who is the DVLA’s CEO, sent the tweet with the caption, “So here’s a little prototype of something we’re working on,” along with the #drivinglicence (how the crazy Brits spell license) hashtag. The image shows how a UK driver’s license in the Wallet app with blurred out Apple Pay credentials attached. In the image, it is easy to see that the card has an issue and expiry date, along with the owner’s date of birth. If you think that this will be the solution for those of us who always forget their licenses on a night out, think again. There is no release date for this handy addition to the Wallet app as of yet, and there’s no word that it will actually become a thing for Apple. Even if there was a set date, the DVLA says that the Wallet license will actually be an add-on to the current photo card driver’s license that the UK currently requires, not a replacement. But who knows? With the way technology is moving forward in the automotive industry, it only makes since that the form of driver’s identification transforms along with it. So keep your eye out. After all, the BBC is reporting that there will be some kind of digital licensing in the United Kingdom in place by 2018, so it might be a thing sooner than we think.